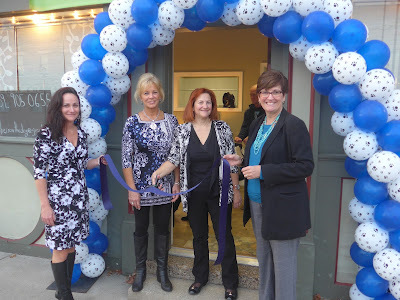 Tracy Davis, Judy Dedeker, Joanna Casey and Debbie Buckley at the Ribbon Cutting at Heir of the Dog. FTM file. Heir of the Dog, a new dog-grooming business, is opening today at 1045 S. Fort Thomas Avenue in the Midway Business District. Owners of the business, Patrick and Joanna Casey, say they are looking forward to getting the new business up and running. They also own and operate Fort Thomas Pizza and Tavern at 1109 S. Fort Thomas Avenue. 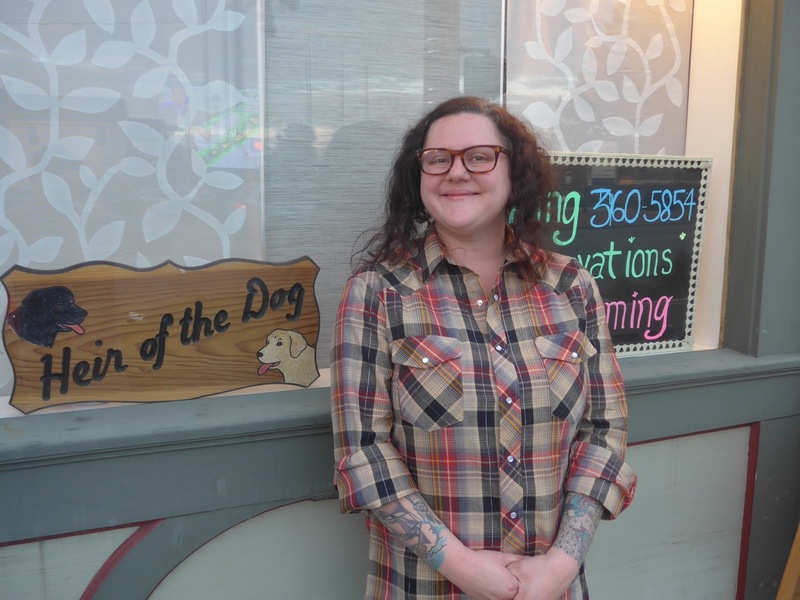 "The city has a large population of dogs and I felt that opening this business could help people from having to go to Newport or Highland Heights to get their dogs groomed," said Patrick Casey. The Caseys, who have two labs of their own and are self-described "dog people," said that they had been approached about a few other business concepts, including a wine bar and a printing business. "Those concepts never materialized so I thought I might as well utilize the space myself and do something that we know," he said. "We are looking forward to developing he business over the next few months. We know that nothing can happen overnight, but we will be very stringent as far as processes and show due diligence and utmost care when it comes to the animals. We'll make sure it works." Fort Thomas resident, Judy Dedeker will be the manager of the new business. She said her love of animals made this new business concept perfect for her. She has four dogs. A large gathering came to enjoy refreshments at the ribbon cutting at Heir of the Dog. FTM file. "We are going to try to be different by having more one-on-one contact with the dogs and the owners. Care is going to be premier. There will be no sedation and no worry about bringing your animal to our facility." Joanna Casey hugged two of her dogs while espousing her admiration of her new manager. "We love Judy, the whole city loves her. She's going to be great in her new role," she said. Andrea Shiverdecker will be the main groomer at Heir of the Dog. She said that she's been in the animal industry for about ten years and has been grooming for seven years. "I'm really excited to start at a business from the ground up. It's nice to be at the point in my career where I can bring my expertise and everything I've learned over the years to the table," she said. "All the animals will be treated with as much respect as your child would be treated." Debbie Buckley said that the addition to Heir of the Dog to Pet Wants and the Fort Thomas Animal Hospital has created a niche animal market in the Midway District. "We certainly need another grooming business and I think this will be a great addition," she said. Fort Thomas Renaissance Board member, Mike McDonough of Your Town Realtors, was also at the ribbon cutting. "It's great to see yet another business open up in our town. Especially one for our four legged friends. Fort Thomas is such a pet-friendly town it's great to have a shop that caters to their needs." Monday-Friday 8:30am - 5:00pm. Dogs will be dropped off during 8:30 a.m., 10:00 a.m. and 11:30 a.m. time slots, and then called as their pets are finished. Our hours will be extended to add Saturdays in the future. Walk-ins welcome, however, availability may be limited. Always good to call ahead.